You might be able to feel your baby moving from the outside now, by putting your hand on your belly. As your baby gets bigger, you and others will be able to see your baby moving. 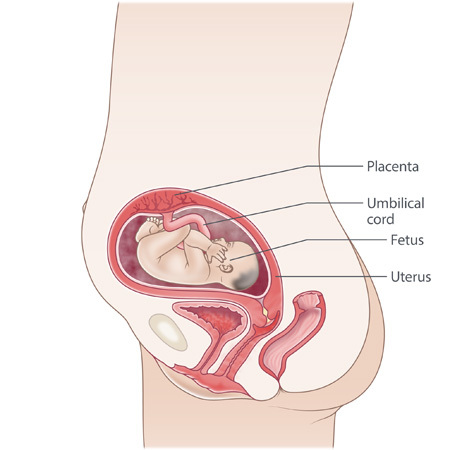 Towards the very end of your pregnancy, you might even be able to recognise some body parts. Other people might comment on your belly or even touch your belly, even if you haven’t asked them to. It’s OK to tell people not to do this if it makes you uncomfortable – it’s your body. You might have this test at 24-28 weeks of pregnancy. If you’ve had a previous pregnancy with gestational diabetes or are at high risk of developing the condition, you’ll probably be offered a test earlier than this. Ask your obstetrician, doctor or midwife for more information. It’s a good idea to plan practical and emotional ‘back-up’ for after your baby is born. For example, could extended family, friends or other people cook you a meal, drop in for a visit or give you a call? You don’t have to do everything if others are willing to lend a hand. It’s OK to ask for help too. In fact, some people will appreciate you telling them exactly what you need. might be hiccupping, which might feel like tiny waves of regular movements in your belly – this is completely normal. Some babies could survive if born now. But they are regarded as extremely premature. They need help to breathe and would have to spend a long time in a neonatal intensive care unit (NICU).